John Spence was born in North Vancouver, BC in 1970. 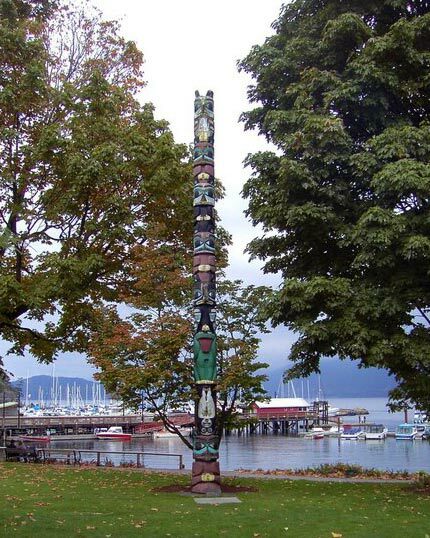 He is a member of the Squamish Nation and from the Killer Whale clan. John is a grandson of the late Chief Simon Baker (Khot-la-cha). John is a talented wood carver who has worked and learned under the watchful eyes of Peter Charlie and Richard Baker. His personal style is traditional Coast Salish and features thoughtful design and attention to detail. 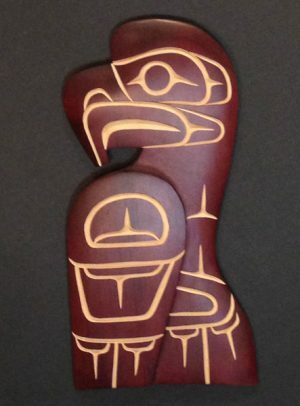 He uses paints and stains to highlight the natural grains and textures of the yellow and red cedar he carves.